Indusquip Marketing is able to supply a wide variety of Gearboxes fitted with “WEM” brand of High Efficiency electric motors. Large ranges of Gearbox mounting are available. 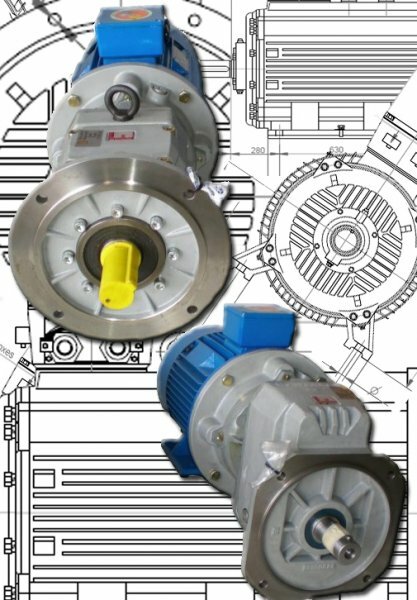 Standard IEC shaft mounted motor utilized – no need for special motor shaft and adaptors. Reduces breakdown time as gearbox is completely sealed therefore preventing loss of gearbox oil and a standard IEC electric motor can be fitted without modifications. 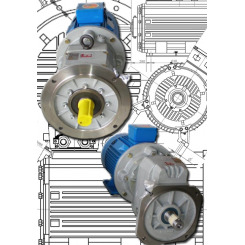 “WEM” brand of High Efficiency electric motors can also be fitted with brakes, force-cooling or encoders for Variable Speed Drive applications.